SHERI HOLMAN - Who is Barney Cohen? Barney Cohen was born 1845 in a small upstate New York town. He grew up with his mother, Mary, and his father, Clyde. He had 2 older sisters, Ada, and Celia, and a younger brother Lloyd. Through the years it became apparent that Barney had no natural talents, unlike his siblings, and they sent him off to do an apprenticeship with a Mr. Taylor in another town (though big for the time). Mr. Taylor was a greying man, a shoe maker and a watch repairer. He taught Barney everything he knew. By the time Mr. Taylor died, Barney had inherited the shop, and renamed it. He bought a very large sign, spelling out BARNEY COHEN, his business boomed, and he was the go-to shoemaker for the mayor, and soon every aristocrat in the town. When he died in the early 1900s, his wife Christine, sold the shop. The developers, not wanting the very large sign any longer, dumped it with all their other industrial waste, and it sat there until a woman found it, intrigued, and took it home with her, after 100 years...it had a home again. I'm inviting you to tell your stories of Barney Cohen -- his life, his loves, his disgraces, his redemptions, his deathbed confessions. In 1,000 words or less. Send to: barneycohenproject (at) gmail.com and I'll periodically post them here. Traveling in upstate New York some years ago, a friend and I found this old (and heavy!) 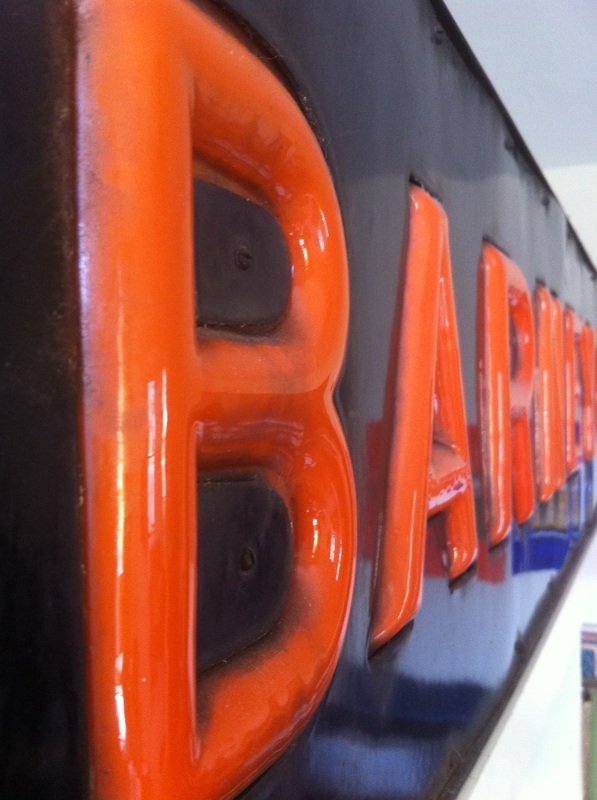 deep blue and orange riveted metal box sign. We cleaned it up and I brought it home to Brooklyn. 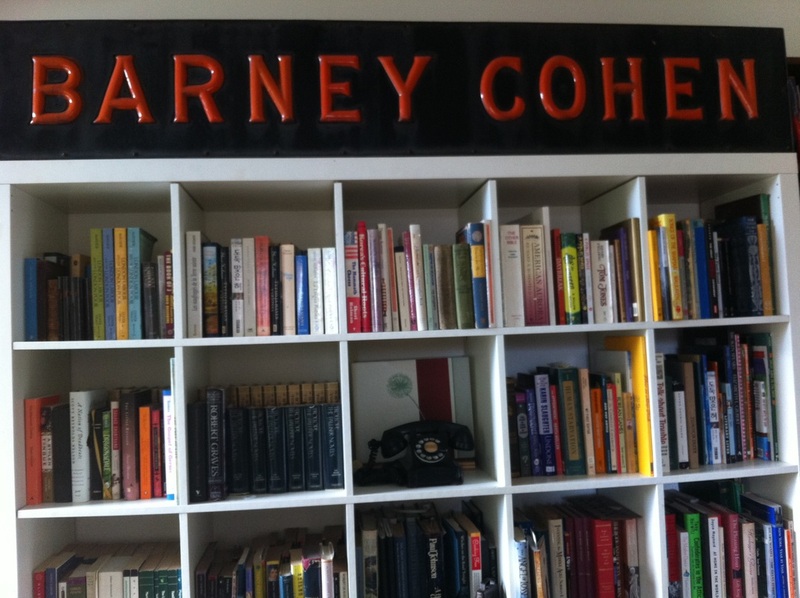 Who was Barney Cohen? A Lower East Side optometrist? A Men's Clothier? Not one man but husband and wife partners: Barney and Cohen? Was he a good man? A leech? Did he dare to eat a peach? Barney has become my alter ego for when I feel like looking at the world through a Bernard Malamud story. Include your name and where you're from in your email, and we'll share them here periodically.